Most photographers these days will say they specialize in families....but make sure you glance through their portfolio, Facebook page, website, etc to find FAMILY images. Many photographers specialize in children...but include families into this category. You want to make sure you find someone who can also photograph the awkward dad, or the mom who wants to hide behind her kids. We all know them, and love them - but some photographers may not know how to photograph them. When you can see a photographer capture each persons reason for living in one family photo - you know they can handle it. This sweet family of three....one of my prime examples of why FAMILIES are something I definitely specialize in! Tip #2: Find a timeless style you love! Find a photographer that genuinely seems to have a style you like, that will last for years to come. There are always "trends" in photography...and sometimes those trends dont last long for a reason. As you search for your newest photographer, make sure you find someone that has a classic, clean and timeless look or a moody classic look that will last for years and years to come. This family is perfect for showing off my clean, classic, and lasting style that took me years to find and settle on - but the results were so worth it! Tip #3: Consider booking a full session! 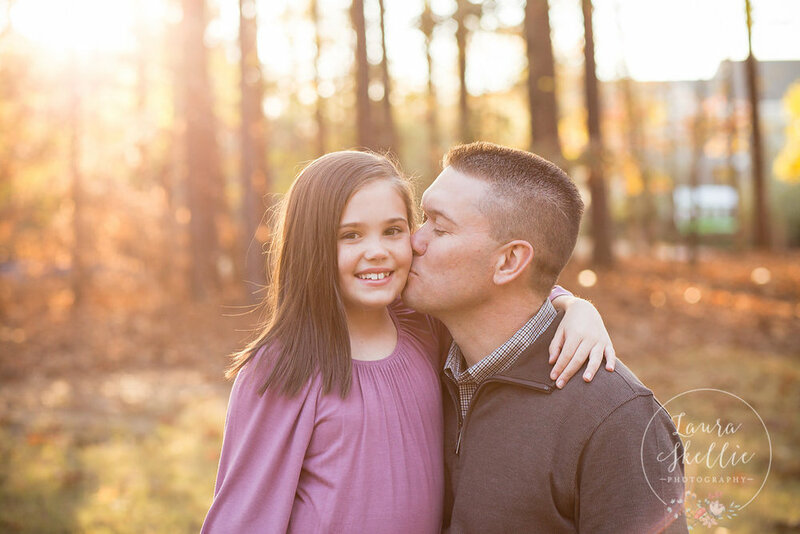 When you book a full session with a photographer, not only does it give your children time to warm up, but it gives the photographer a chance to get to know you better. When your photographer books a full session - usually there is more interaction ahead of the actually day of, which means your photographer will have gotten to know you and what you like a little more. I send out questionnaires to all my clients, but the one for full sessions is a little more in-depth because I want to get to know you and your children. I use that information to plan for our photo shoot day! So I urge all new clients to book a full session. You will love your photos more, and your children will be more relaxed! We don't usually start shooting immediately at a full session, we spend a few minutes talking to everyone (and even playing with kids!) - letting your child know he/she is okay to be a little crazy - makes our job easier. It means more genuine laughs, better listeners, and happier parents! Tip #4 (and 4.5): Book around nap times....PLEASE...and bribe your children. It may be hard when you have 3-4 kids. BUT I promise, finding a time that works between all nap times is going to save you from so much heartache, frustration, anger, tears, etc.... Most parents have a child or two that doesn't nap and can be unpredictable. BUT if you pick the right photographer, he/she should be able to shoot at any time of the day....so do not be afraid to ask for a time that isn't first thing in the morning or evening. Yes, those times will give you that golden light that everyone loves....but in the real world - that is not when your children are happiest! Don't be afraid to PIN Pinterest images you love.....but don't be offended when your photographer ignores all of them. They are GREAT for inspiration, but most photographers like to be original, and secretly search Pinterest on their own anyways....but only for ideas. I do it, I know many that do....heck I even keep folders for each type of session I shoot....it helps me sometimes pose families, it also helps me think of solutions if there is something different about your family (dad is really tall, or something!) It is completely OKAY to look, it is OKAY to start a board, and it is OKAY to send to your photographer. These are YOUR photos. BUT also know your photographer likely wont copy images exactly, that diminishes our creativity. We would love to know what you LOVE, so we can design something that is derived from that inspiration, but we also want to create a session JUST FOR YOU! ← Why Photographer Hopping is a NO-NO!